*We were sent the Fisher Price Caring for Animals Farm for the purposes of this review, however, as always, all thoughts and opinions expressed are 100% my own. 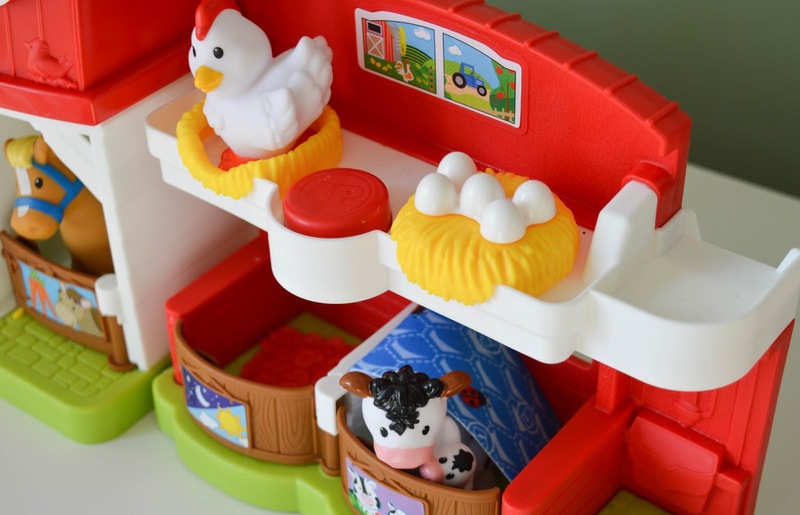 One of the lovely gifts Beau received for Christmas was the Fisher Price Caring for Animals Farm. He's shown an interest in the little farm Tyler received for his first Christmas way back in 2013, but it's a little bit babyish for him, not providing much opportunity for playtime or interaction with characters. 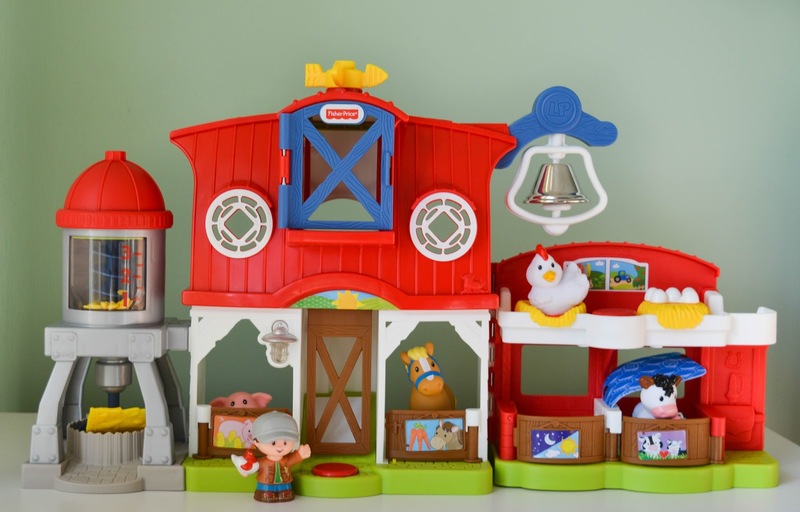 So when the lovely people at Fisher Price offered us the opportunity to review their adorable looking Caring for Animals Farm, I knew Beau would love it and that it would make a perfect Christmas gift for a child his age (19 months). 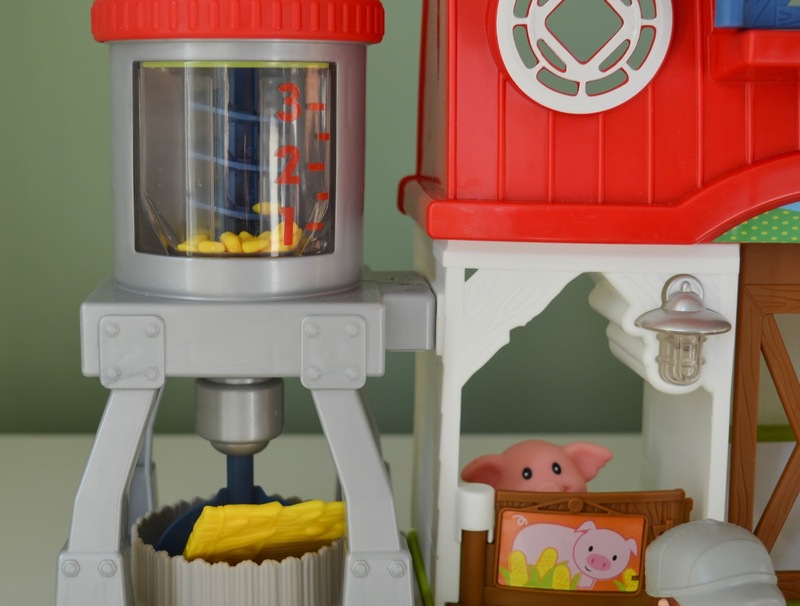 The Caring for Animals Farm is part of Fisher Price's Little People range, which offers toys with the most adorable looking characters that are perfect for little hands to play with. The farm itself was super easy to set up, with no assembly really required (yay!) apart from popping the animals into their stables - which there are four of. The Caring for Animals Farm featuring a a nesting area for a chicken and her chicks, a metal bell (which has firmly become Beau's favourite thing about the farm! ), a hayloft, a rotating corn silo and a blanket between two of the stables which allows you to tuck your animals up at night time. The set comes with a farmer, pig, cow with her calf, horse and chicken. 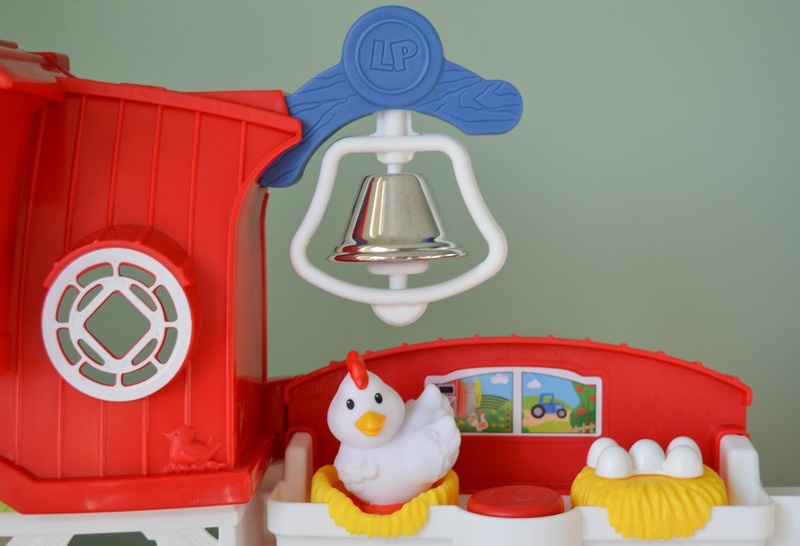 There are also two buttons on the farm building, one which lights up the building and activates sounds - always fun for toddler playtime and one hatches the chicken's eggs. This is such a lovely fun and colourful toy for little ones to play with, but apart from the joy it brings Beau, what appealed to me the most about the set is the kindness and nurturing nature it promotes towards animals. 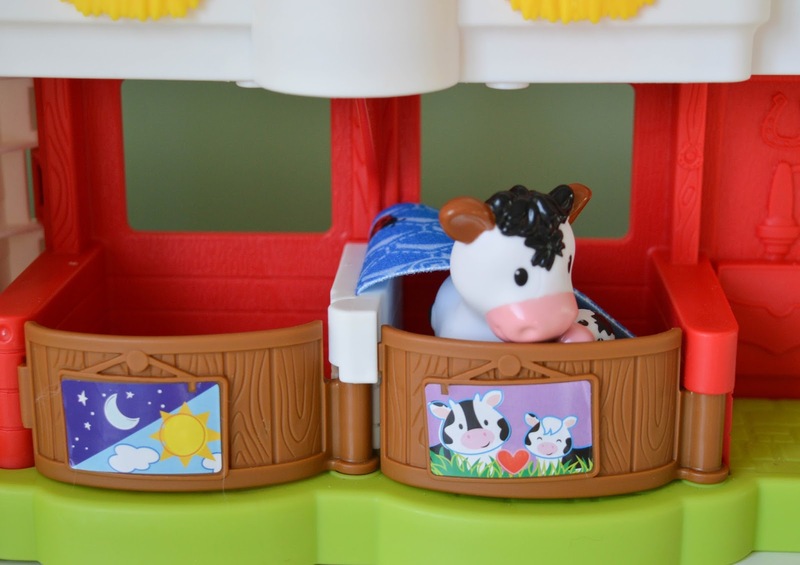 The addition of a blanket to tuck the animals into their stable with and a cow with her little calf were all very sweet aspects for me and I thought it was lovely that Fisher Price so careful added these details into the playset. Beau has been an animal lover from a young age and I think it's great that this playset promotes kindness to animals and thought for their welfare to little ones. It's so lovely to see something like this being embraced within a farm playset. This is such a lovely little playset and definitely one I would recommend to other parents of toddlers (even though my 4 year old has had some great enjoyment playing with it too!). 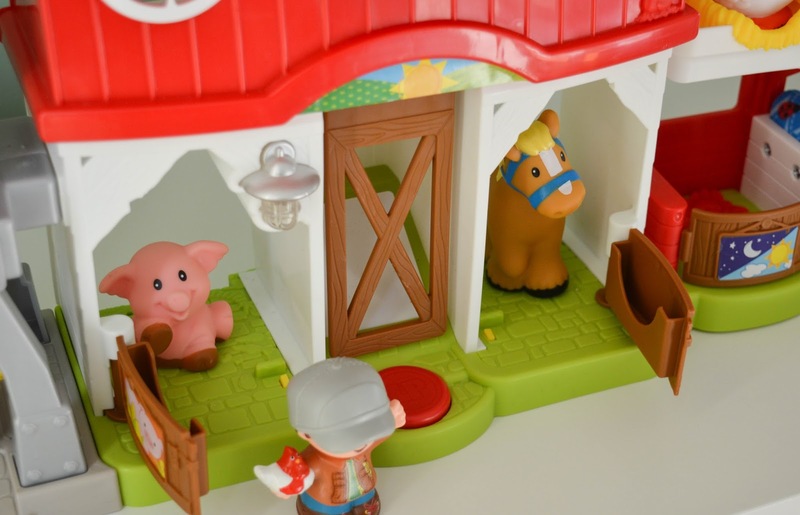 It offers lots of opportunity for children to use their imagination and pretend they are farmers minding their animals, as well has having lots of different areas to explore and open, as well as the sounds and fun, adorable little characters to play with. 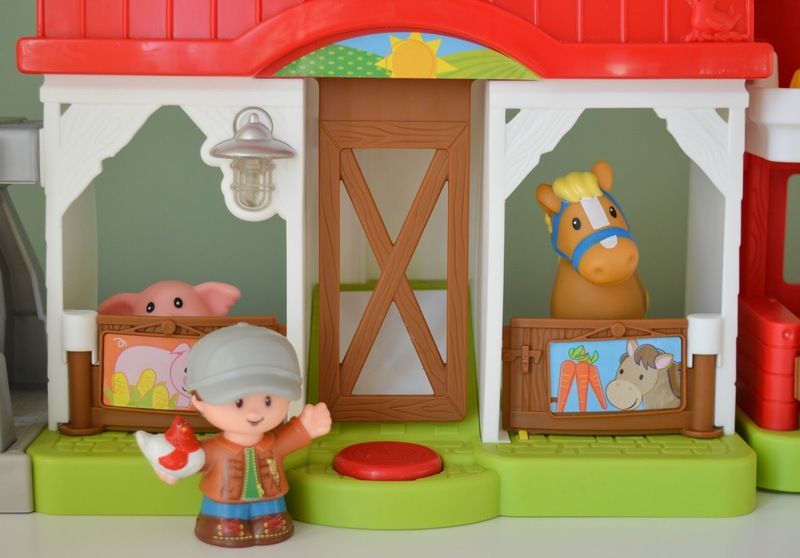 The Fisher Price Caring for Animals Farm is €34.99 and is available from all good toy shops.